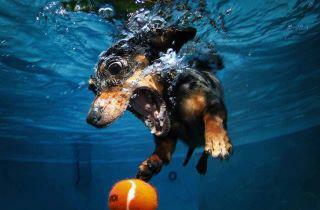 I just wanted to share this awesome dachshund photo by Seth Casteel. I could look at this all day, its great. He has quite a few pics with the same theme, different breeds. You can check them out on the web, this is my favorite of course.